There are no set rules when it comes to choosing the best hair clippers for men that will actually work well for you. Choosing which type buy is essentially a personal preference based on one’s experience and skill level. 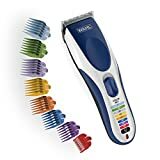 Nowadays, you can pretty much choose from a wide variety of hair clippers for men that are designed for professionals or for home use. Some brands available in the market today have full barber clipper kits that includes several different pieces from guide combs to a cape. 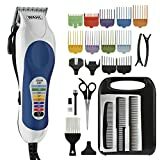 From the most popular brands and models, like the Andis Outliner and the Wahl Groom Pro who produce industrial hair clippers that are easily affordable for home use, to lesser known brands like the very modern and elegant Trym ii or the Hausbell brand, and even the more exclusive high-end models like the Panasonic, whichever type you’re looking for, we will cover them all. These clippers and trimmers are not only used to cut and style hair however. 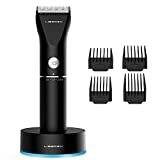 Most men use them for various grooming requirements, from styling their manly beards to taking care of their manscaping needs, these machines can really be versatile. So, what is the best hair clipper for men? Well there are quite a few good machines available on the market. We have listed our top 5, however we don’t want you to just take our word. So, we’ve prepared a quick guide you should follow to ensure you choose the machine that will give you the efficiency you need. We have a whole post with details on the difference between a clipper and a trimmer, however, it’s good to know that nowadays there are products that combine both the functions of the trimmer to those of clippers in one machine. There are quite a few waterproof models on the market. We have reviewed our top choices here, but this is another option that you will need to consider before choosing your ideal hair clipper. As you can see, there are plenty of variations, like waterproof hair clippers, cordless vs corded, and many more other options to choose from. Your ideal clippers will depend on your personal requirements. So once you decide on the power you require and what type of blade you are ready to spend on then the choice boils down to style, handiness and the functions available. As far as brands go, Wahl, Andis and Oster have been at the forefront of the hair clipper industry for various years, however other brands have models which can easily compete with the best of them. If you are looking to start cutting your own hair, then the Wahl Chrome Pro 24-piece Hair Cut Kit is definitely a great starter kit. It will give you that even haircut you get from a professional barber if used properly. Another very good Wahl model is the Wahl Groom Pro, which includes also a trimmer in the box. For more details on this model see our review post. Customers who have reviewed this trimmer found that the cut it gives is so thin that it can pretty much be compared to that made by a razor. It is as close to a razor cut as you can get. With the design of the T blade, you can also reach areas that require a little bit more caution like the edge of the ear. If you want the best machine for fades, then this is it. The T-shaped blade design of the Andis T-Outliner Trimmer with T-Blade will give you enough movement and flexibility to work on areas that a normal trimmer might not. There are various brands that manufacture some top clippers, but picking the best barber clippers for you is a personal choice that depends on your hair type and style. If none of the above seem right for you then check out the full list of our reviews here. You’ll find all the information to make the ideal choice based on your requirements, budget and level of expertise. Are you looking for a particular hair clipper that’s not in the list above. Check out our handy Amazon Quick Search tool below to find what you’re looking for.